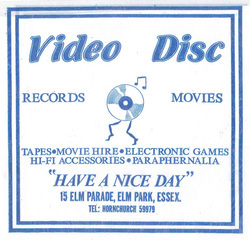 This was originally opened as a video rental store and also a record shop (vinyl). Then moving to CD as that became more popular. There was always help and willingness to source records from the staff. This included some rare limited editions of new releases and import records too Comment: Lawrence Levine..